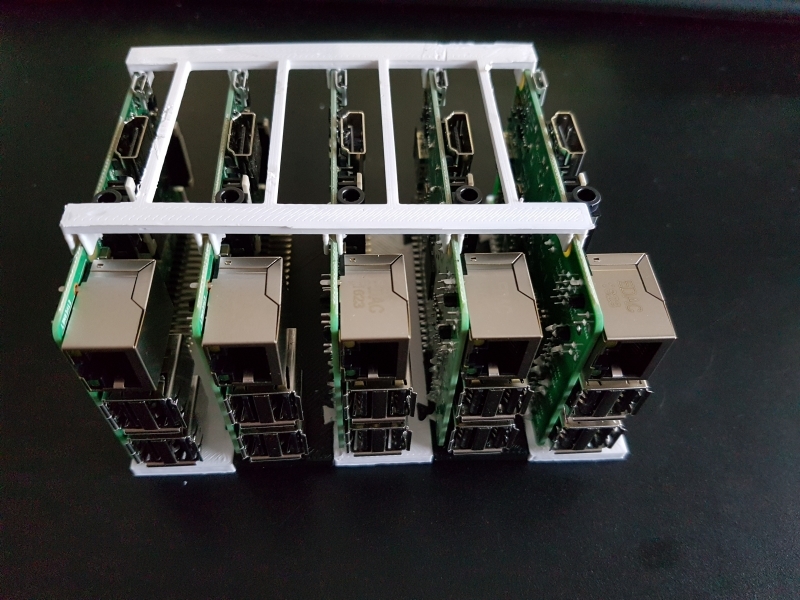 The final Beowulf cluster will have 20 of this nodes with 5×20 Raspberry PI/Asus Tinker. Currently we have 20 Raspberry PI 3B running at 1400MHz. One of our next tasks will be the evalution of the Asus Tinker devices as a replacment option for our Raspberry PI 3B.